Rhino™ 405 is a highly versatile, is 100% solids and provides a high build system. Its wide variety of uses on concrete substrates includes, structural restoration, patching, and adhesive repairs. The long working life of Rhino 405 is ideal for repairing large concrete floors, and restoration of deteriorated concrete structures. Rhino 405 applications are tack free within 8 – 10 hrs, and may be recoated with a variety of Rhino Epoxy products at that time. Easy to mix, moisture tolerant, excellent chemical resistance, and 100% solids for the widest variety of concrete substrate repair applications. Patching “bug holes” and cracks on large floor areas or other concrete structures. 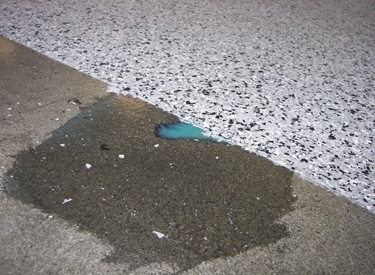 Do not apply to unprepared concrete with curing or sealing membranes. Do not apply to base concrete at a temperature of less than 55°F.